Applications to the 2019 Emerging Poets Fellowship have closed. Where does the Emerging Poets Fellowship program take place? The Emerging Poets Fellowship program takes place at Poets House in Battery Park City. In addition to weekly workshop meetings, Fellows are expected to attend some special events and are invited to participate in other programs taking place at Poets House. Participants are also encouraged to take advantage of Poets House’s library, which includes more than 70,000 volumes of poetry and poetry-related material. Poets who have the flexibility of time and attention to avail fully of the Fellowship opportunity at Poets House, a nationally recognized literary non-profit organization that features a library with over 70,000 books of poetry, and have a dedication to creating affiliation, community, and points of entry into the study of poetry. How long is the Emerging Poets Fellowship Program? The 2019 Emerging Poets Fellowship will meet Tuesday evenings, 6:00-8:30 PM, for fifteen weeks between March and June 2019. There will also be an afternoon session on a Saturday (date to be determined). A final public reading will take place in June. Fellows are expected to be in attendance at all meetings. No, there is no fee for those accepted into the program. Each participant will receive a $500 honorarium for their participation and a stipend of $100 to cover travel expenses. There may also be some funding to help participants pay for childcare expenses. The stipend is delivered in two $300 checks, the second of which is contingent upon completion of the final fellowship evaluation (also a stipulation of the funder whose breach will prevent receipt of installment). Applicants are reviewed by a selection panel comprised of distinguished poets as well as Poets House staff. The panel, which changes yearly, is culturally and aesthetically diverse, and takes into consideration applicants’ creative work, visibility, and financial/personal need. The panel selects twenty finalists for interview, and from these, ten Fellows will be chosen. Applications to the 2019 Emerging Poets Fellowship have closed. Check back next year! How many participants are in the program? Ten poets will be chosen to participate in the Emerging Poets Fellowship Program. Group Workshops: The Workshop Coordinator facilitates thirteen writing workshops (2.5 hours each), held in the evenings to minimize any loss of participants’ income. Workshops often take the form of discussion of Fellows’ work, but may include discussion of outside texts and other media, exploration of the library’s archives and resource materials, creation of a group project, or attending programs or taking trips together, at the discretion of the instructor. Mentoring Tutorials: The Workshop Coordinator provides each student with two tutorial sessions (1-2 hours each). They also receive two one-on-one tutorial sessions (1 hour each)—with returning faculty and a poet of their choice (from a select list that in the past has included poets based in the tri-state area)—for feedback of their work. All one-on-one sessions assess each poet’s needs in support of their practice. Guest Lectures: Two poets, presenters from the current season’s public programs, are brought into the workshop to discuss topics relating to poetics. Publishing Q & A: Editors from the publishing industry offer advice to Fellows about the practical ins-and-outs of attaining visibility for their work. 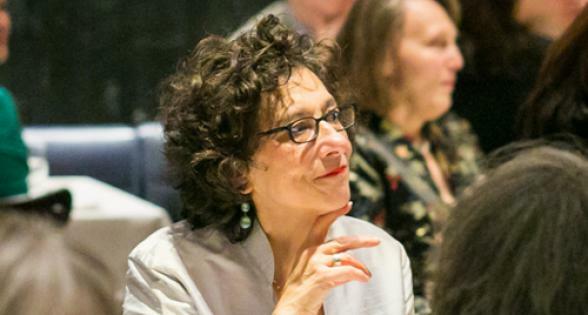 Special Events: Participants are invited to special gatherings not open to the public, such as lunches with poets/presenters from our public programs. Public Reading: The program culminates with a final public reading in Poets House’s Kray Hall. The reading is advertised in our Spring calendar and on Poets House’s website and social media. Evaluation: Students are required to fill out detailed questionnaires at the end of the program. Please note receipt of the final stipend is contingent upon completion of the evaluation. Alumni Gathering: Beginning in 2019, Poets House will add a special event that will allow past and current fellows the chance to socialize to create a deeper sense of community and continuity. What can the Emerging Poets Fellowship offer me? An ongoing network of peers and organizations. Are there other residencies you can recommend? A list of national residencies, artist colonies, and retreats is maintained by Washington DC’s Beltway Poetry Quarterly.